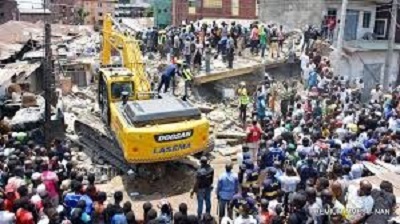 Tragedy struck on Wednesday in Lagos when a three-storey building collapsed in the Itafaji area of Lagos Island. 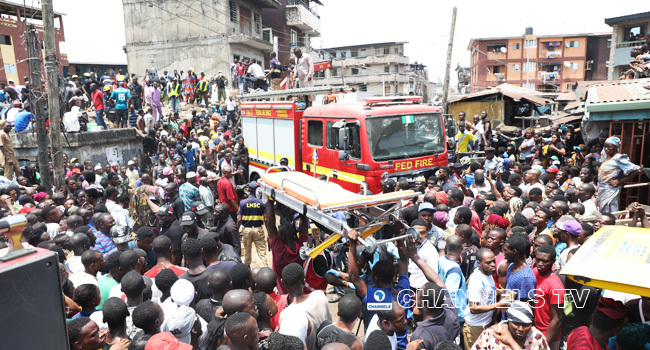 A primary school is said to be located on the second floor of the building with pupils feared killed and others trapped. 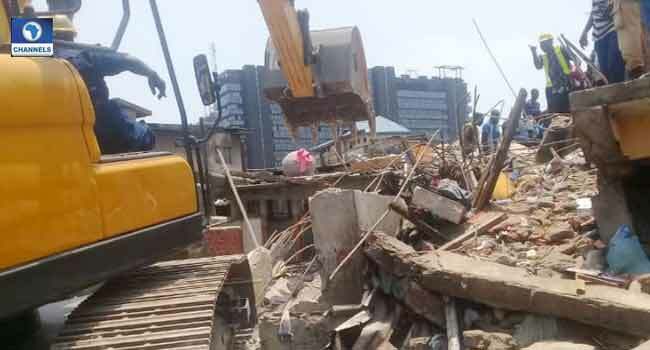 The building is said to be about 30 years. 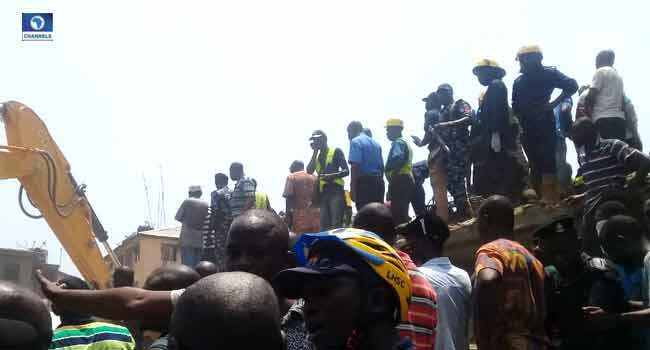 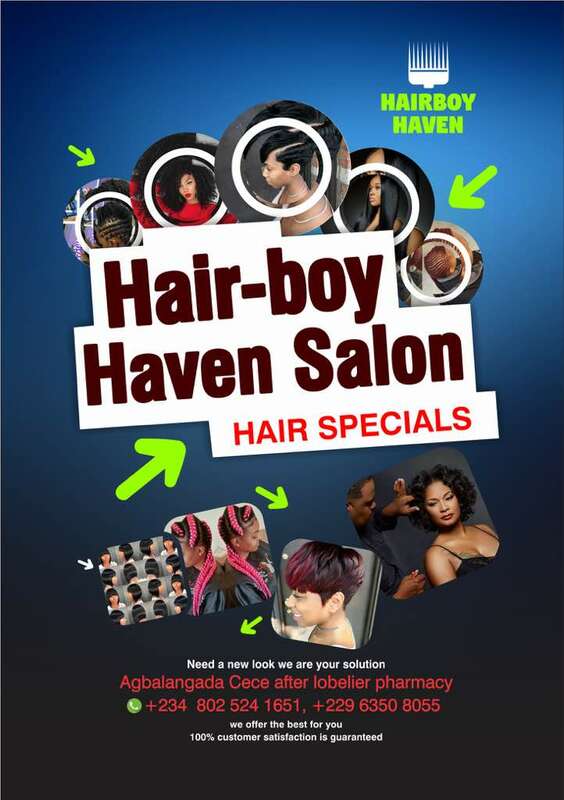 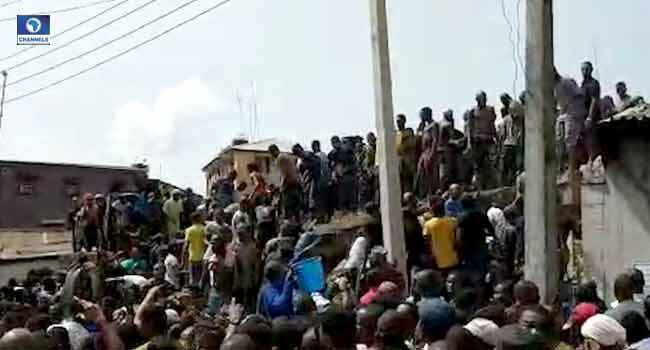 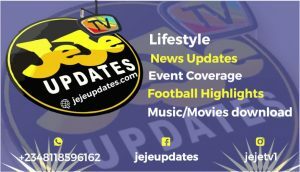 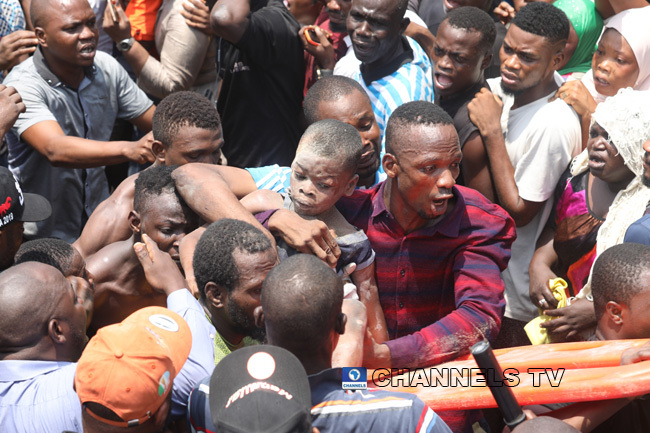 Channels Television observed that about 24 victims have been rescued and taken to the Lagos General Hospital, Marina while nine confirmed dead. 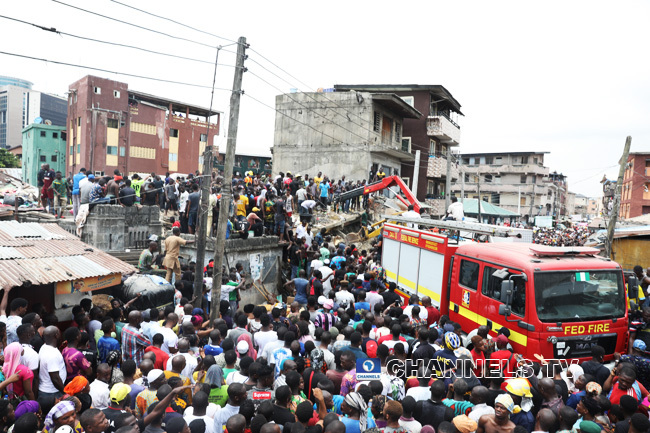 Many of the occupants of the building said to be a residential facility with several apartments are feared to be trapped under the rubble. 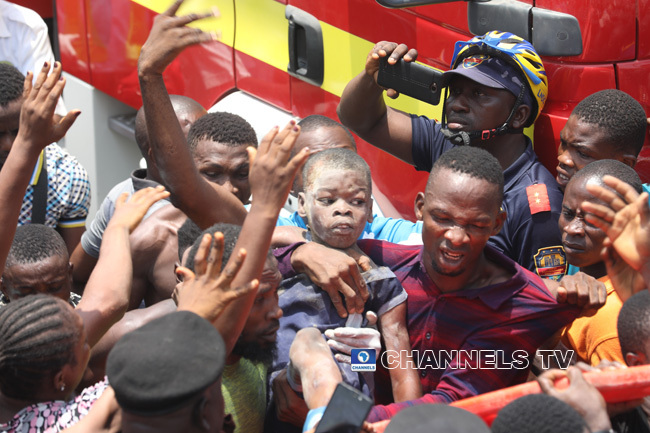 jejeupdates.com reporter saw a pupil being pulled from the rubble covered in dust. 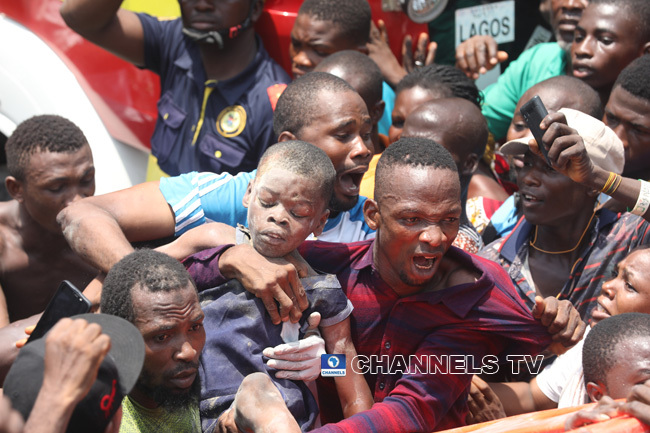 Although the child didn’t sustain visible injuries, the crowd were full of praises as another child was also pulled out from the wreckage. 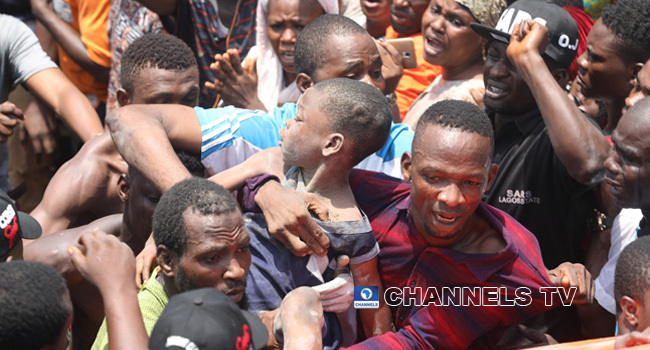 Two children were among others that residents said had been rescued so far. 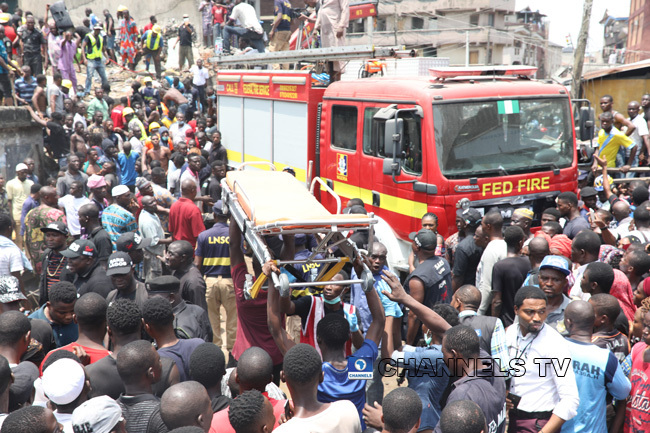 Officials of the Lagos State Emergency Management Agency (LASEMA), National Emergency Management Agency (NEMA), as well as security personnel including the police, army, and National Security and Civil Defence Force (NSCDC) have continued with rescue operations at the scene.